If you’ve been searching for a wireless solution that can deliver interference free, multigigabit throughput in dense areas where sub-6GHz is quite crowded, we have the perfect solution for you. Siklu’s mmWave wireless is virtually immune to interference or jamming, so you get performance as solid as fiber (but at the cost of wireless). Siklu wireless networks do all the heavy lifting, without bending your budget. Interested in more information? 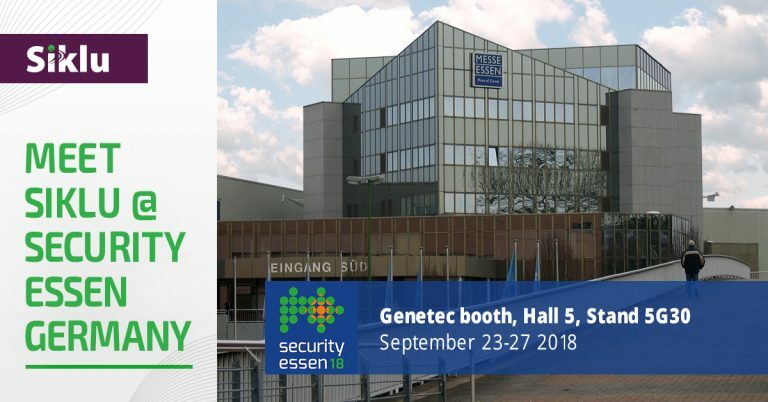 Click here to watch our latest Smart Cities video or simply stop by our booth (Genetec pavilion, Hall 5, Stand 5G30) for a live demo.